«VoxelSniper» modification will allow you to create a variety of structures of various forms with a bow and arrows. Mod is equipped with a great interface, where you can change parameters such as diameter, block ID, and so on. In addition, mod has a function of changing textures, designed for painting structures, id is specified in the settings. The structures can be expanded, giving them a variety of forms. Click on the button «P» in the lower right of the screen. This function can be used if you want to add some concrete blocks to the newly created structure. 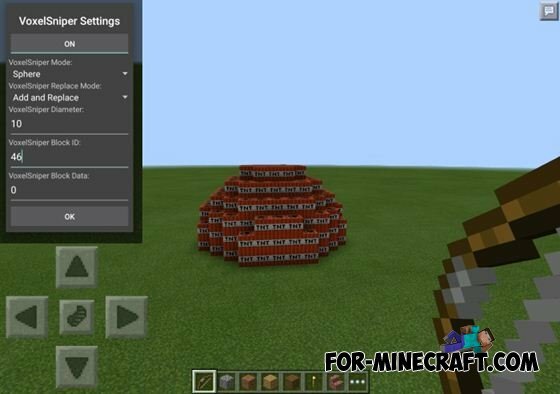 Super Speed mod for MCPE 0.10.5Minecraftmuse3 programmer wrote a fairly simple, but for someone a useful mega speed add-on! 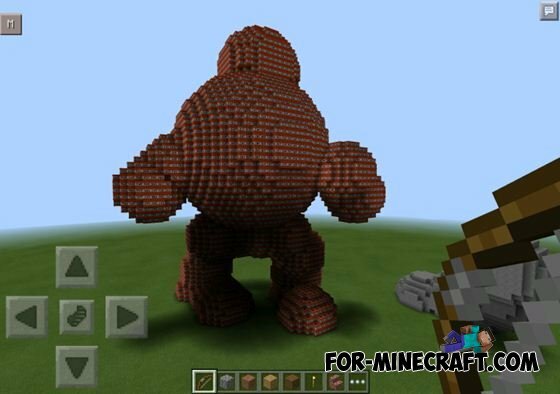 Powerful Fists for Minecraft PE 0.10.5The mod adds to the game 18 different settings.